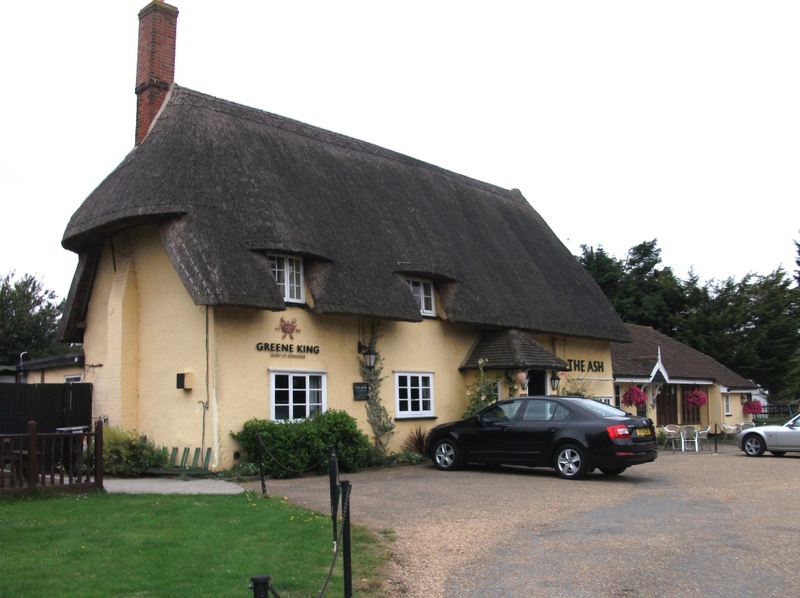 We started our negotiations with The Coach & Horses, Wicken Bonhunt several months ago. 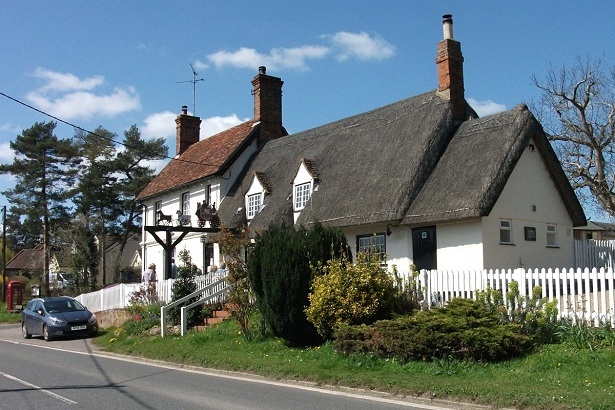 We were a bit apprehensive about going there because it is Thai food and is quite different to what we usually have, which is traditional English. However, Sergio the owner gave us a menu with the condition that he needed a minimum of 27 and a maximum of 40 to make a booking. As a result we did a survey to ascertain the interest. 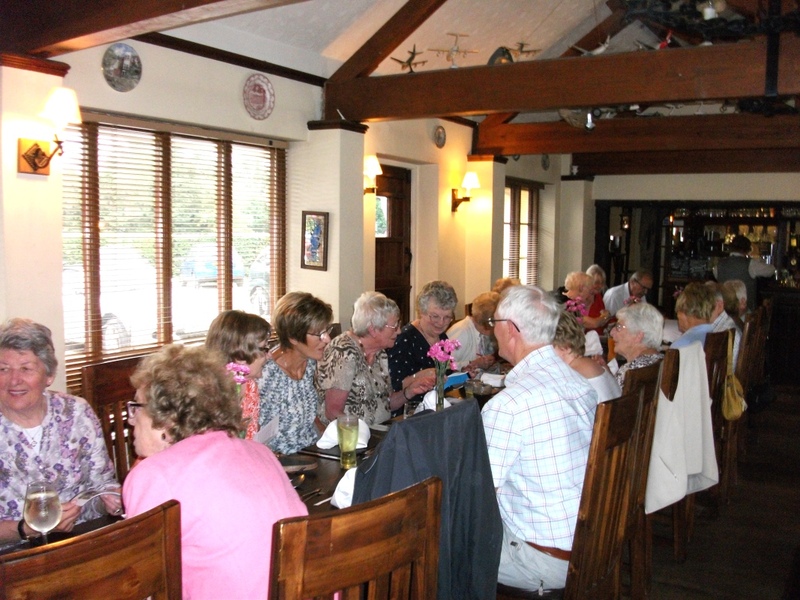 Having sufficient numbers we made the booking and on the day had 40 diners. Our group consisted of people who liked Thai food and those who wanted to sample it. The menu was for 3 courses followed by coffee/tea and included Chicken & Prawn on toast Chicken Green Curry and Massaman Beef. The chef was Ananta, wife of Sergio who kept the service going. 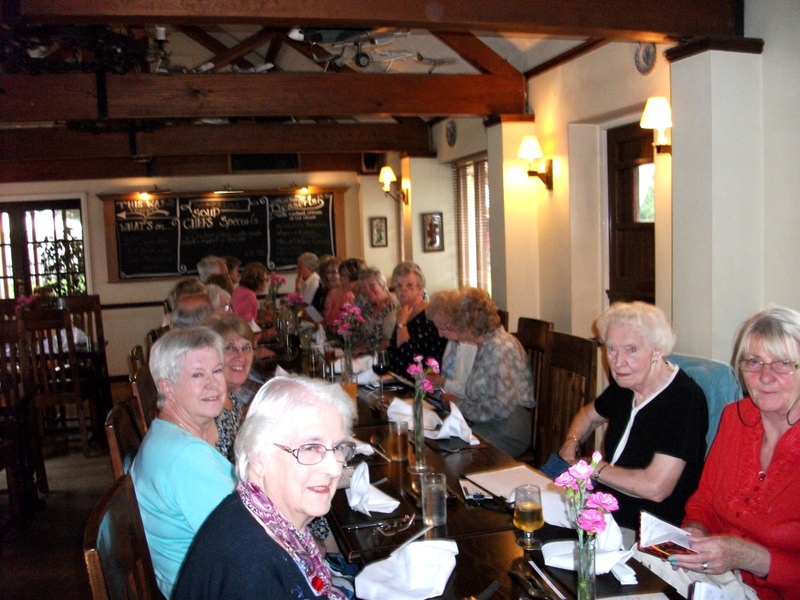 Everyone said they enjoyed the meal and as usual it was a very enjoyable occasion. 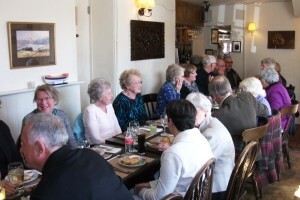 We had a record number of diners, 47, for our lunch in March. 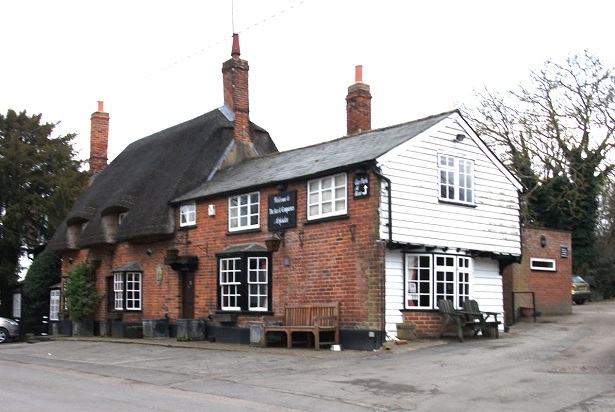 Our venue was The Axe & Compasses, Arkesden and we occupied a large part of the pub. The menu followed the usual pattern with meat, fish and vegetarian choices. Desserts were chosen from the trolley and were particularly popular. A very enjoyable occasion, with full marks to Themis & his team. On Wednesday 17th February we visited The Cricketers at Clavering. 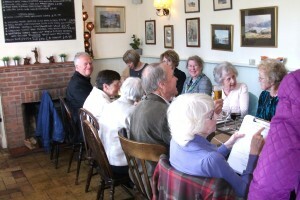 Members numbered 39 and we occupied a separate area of the pub. 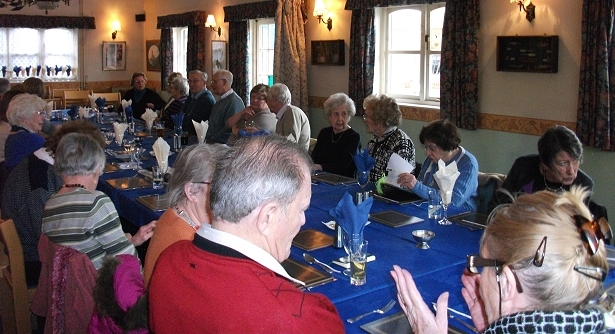 Menu choices were between Salmon, Roast Pork and Vegetarian. Desserts were chosen from a special selection for the day. 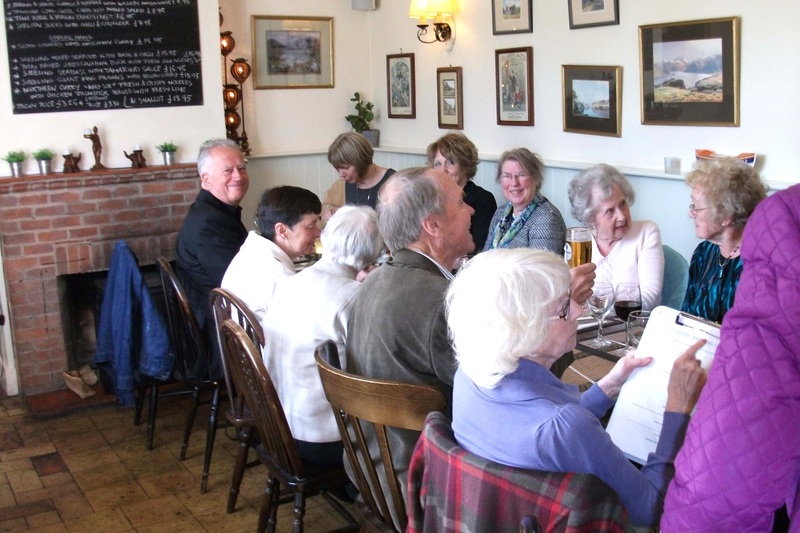 Several new members of the U3A attended which enabled them to meet new people. 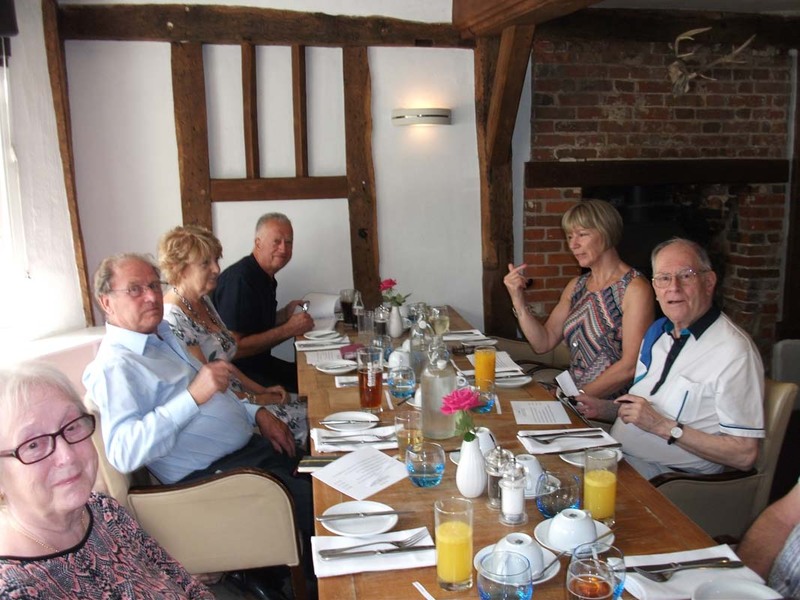 As expected from The Cricketers, the food and service was very good and enjoyed by all. 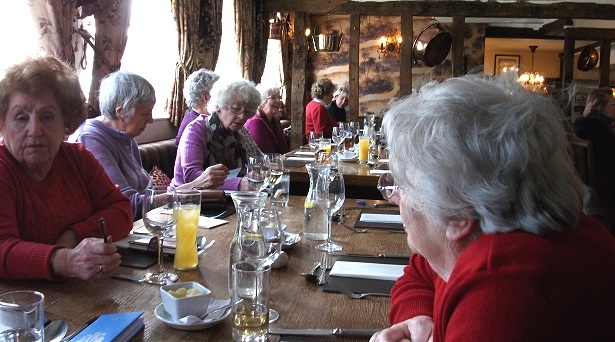 Our venue for January was The Chequers, Ugley, where 27 diners attended including some new members. 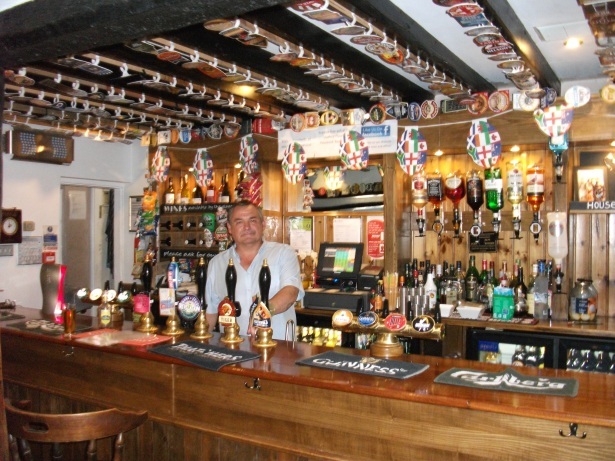 On this occasion we had the function room to ourselves. 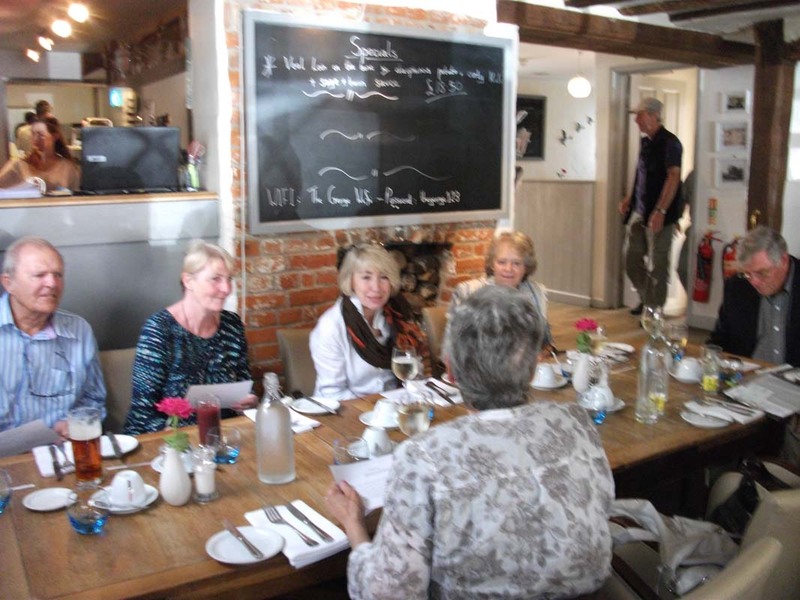 The menu included roast beef or fish and vegetarian dishes could be chosen from the black board. A special dessert menu was prepared for us and included a variety of tasty dishes. 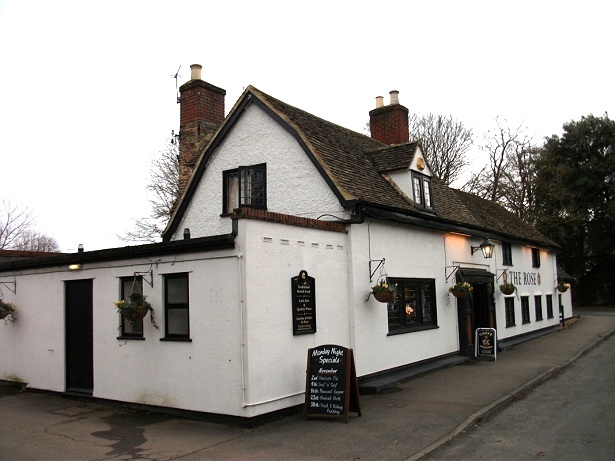 Our venue on 10th December 2015 was The Rose in Stapleford. turkey with all the trimmings followed by dessert and coffee, served in the timbered dining room. The food was very good and the service excellent and enjoyed by all present. 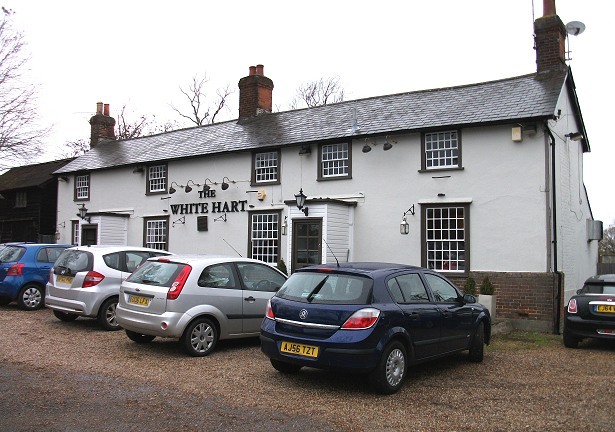 Our venue on 18th November 2015 was The White Hart in Wimbish. Maximum number that could be accommodated was 40, but we managed to squeeze in 42, thereby taking over the whole restaurant. 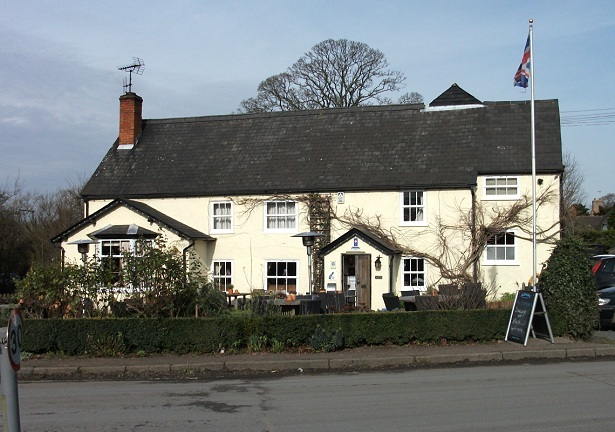 This Restaurant & Bar is run by Leigh & Paul Todd, he is the chef and Leigh looks after front of house. 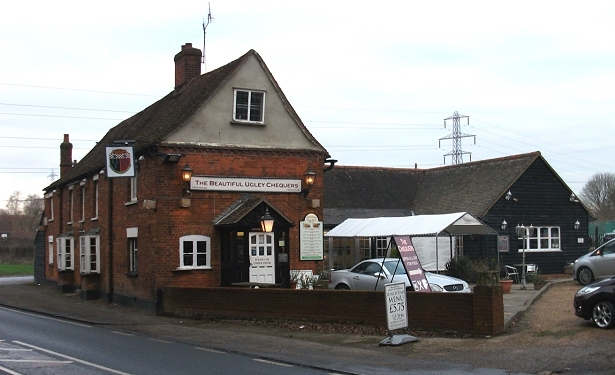 With some casual assistance they produce excellent food and service. 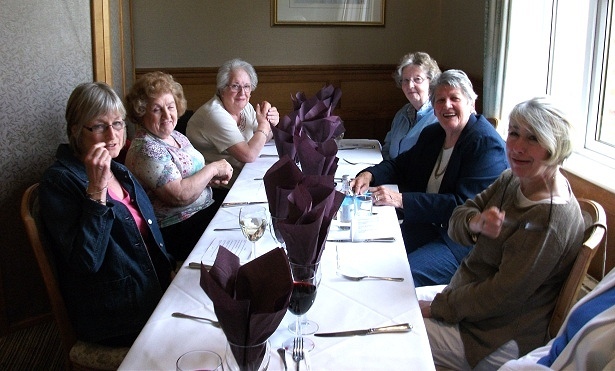 Some members particularly commented on the white linen tablecloths and serviettes. 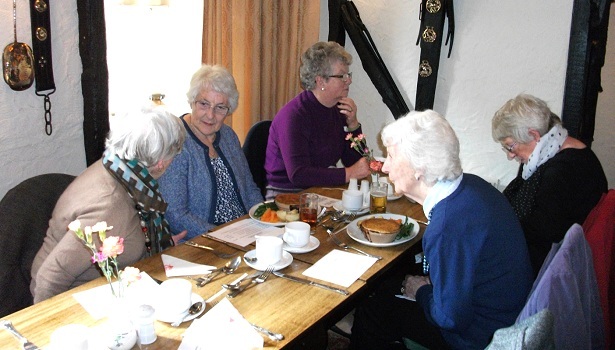 The menu included Chicken Breast, Supreme of Salmon or a vegetarian dish, followed by Creme Brulee, Strawberry Trifle or Plum & Apple Crumble & Tea or Coffee. Another most enjoyable lunch time. Our venue on 20th October 2015 was King William IV in Heydon. 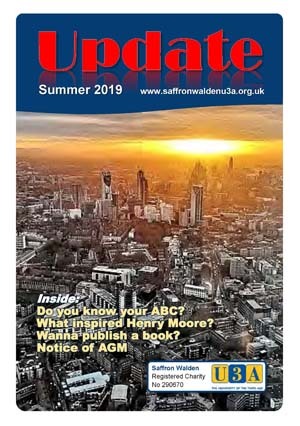 Our presentation at the recent New Members Meeting generated lots of enquiries. 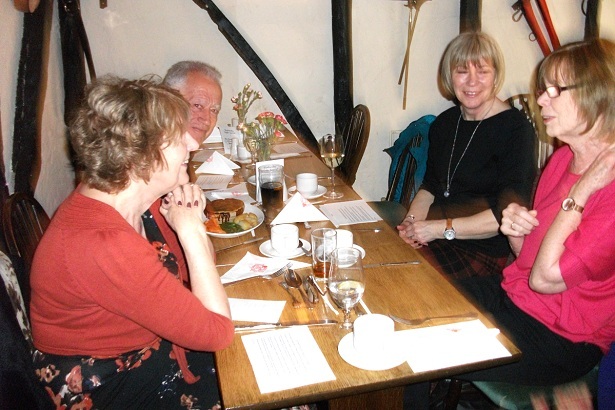 In fact several new members attended our lunch at King William 1V at Heydon on Wednesday 20th October. 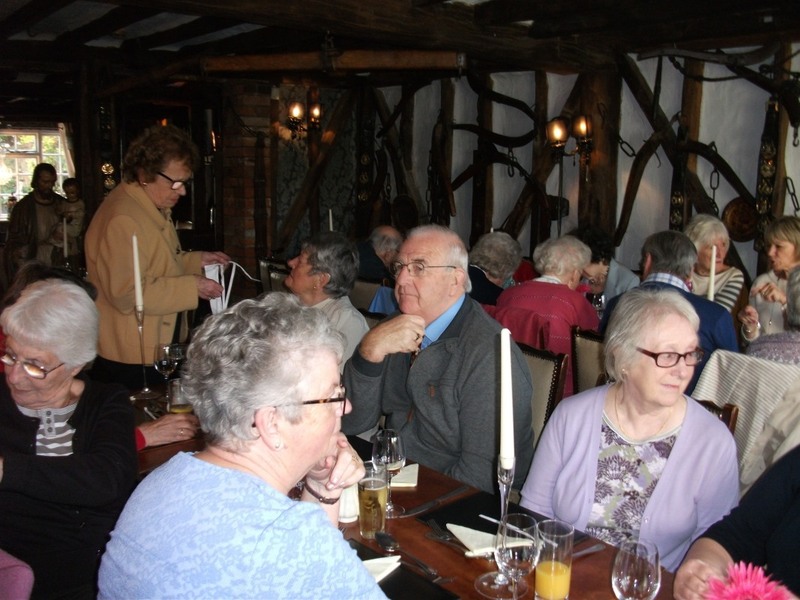 However, attendance was down slightly at 25, we think due to it being half-term and people were visiting or looking after their grandchildren. 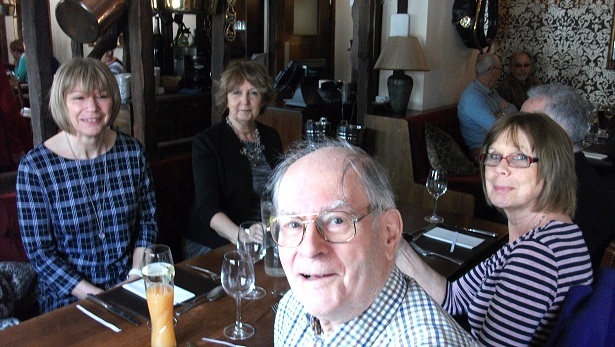 However, it was a good social occasion with good food well presented. 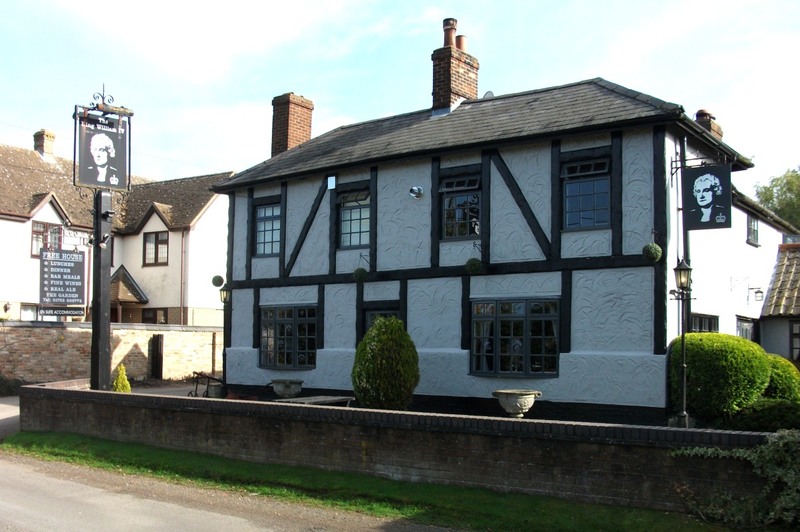 Our venue on 23rd September 2015 was The Plough, Duxford. Click on photos to enlarge. 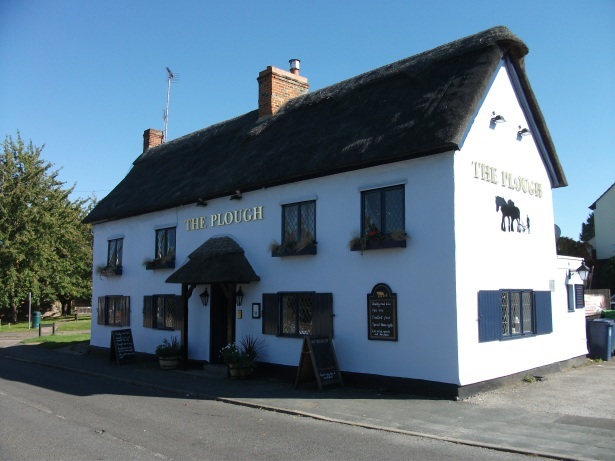 Our venue on 23rd September was The Plough, Duxford. 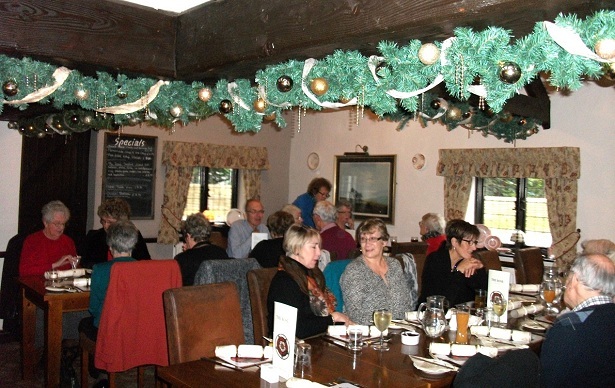 Being a small pub we took over the whole place for our lunch. 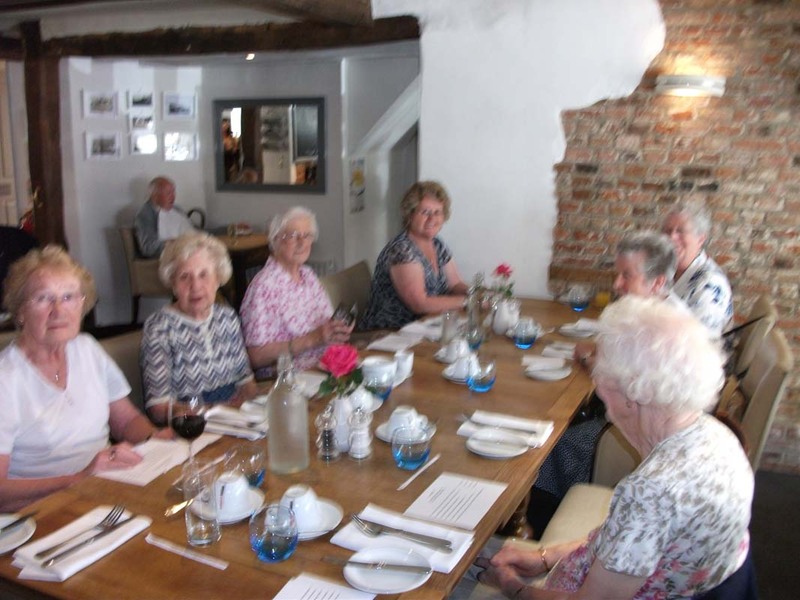 Despite being small the food was excellent, poached salmon with prawn sauce and chocolate & raspberry roulade being the favourite choice and everyone seems to enjoy the occasion. Ben, the landlord said we were a cheerful group and said he would welcome us back again at any time. Our venue on 13th August 2015 was The Ash at Stansted. Click on photos to enlarge. 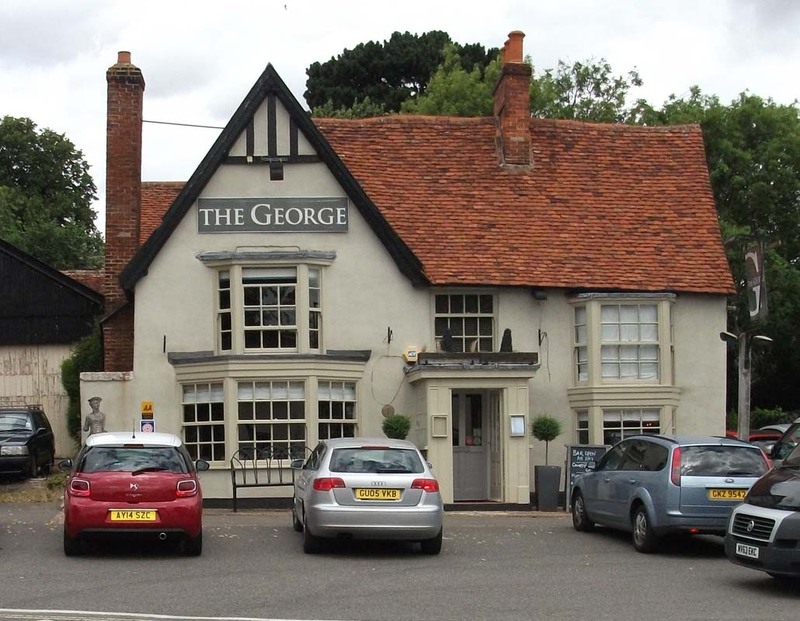 Our venue for July was The George, Cavendish, with 38 people attending. The route to Cavendish is along the picturesque Colne Valley. The day before the event we discovered the road between Clare and Cavendish was closed with a diversion via Haverhill. Kate spent an hour that evening phoning everyone to advise them not to take the official diversion involving considerable more mileage, but to take some minor roads involving only a few extra miles. Unfortunately, two people didn’t get the message which made the journey for them much longer with extra travelling time. However, the occasion was very enjoyable, the service was good, with a choice of dishes on the menu with Sea Bass and Crème Brulee proving the most popular. 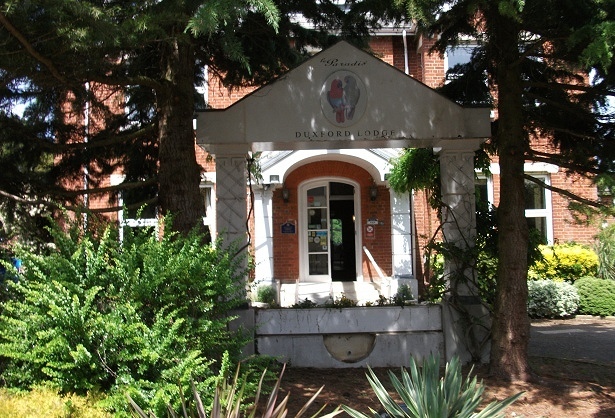 Our venue on the 18th June, was The Duxford Lodge Hotel. Numbers were down at 26, we think because of holidays. Members assembled in the bar for drinks, it was such a lovely day some people took them out to the garden before migrating to the dining room. 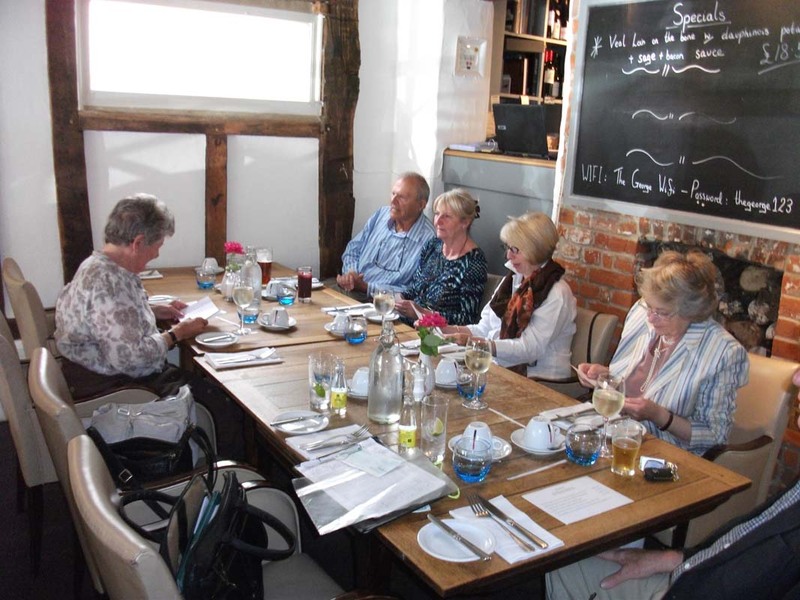 The main course was a choice of Fillet of Haddock or Chicken Breast or Vegetarian followed by selection of Desserts and Coffee or Tea. 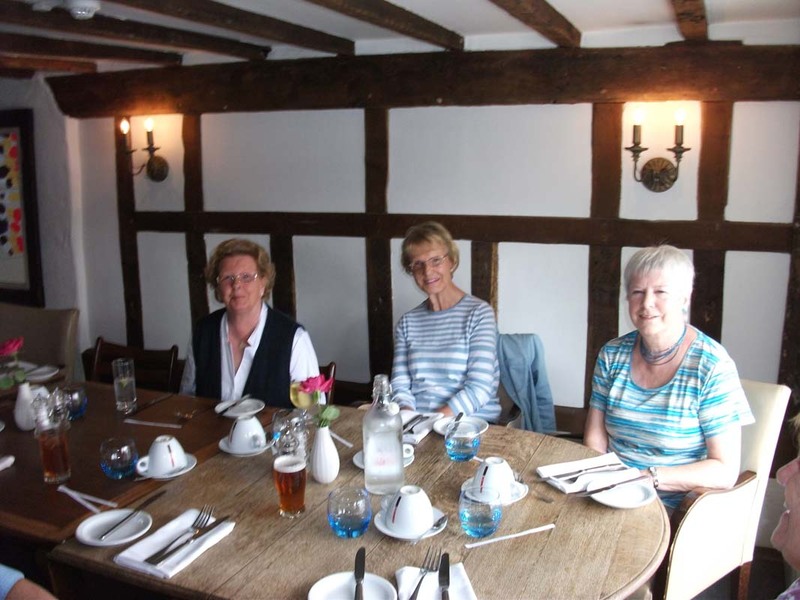 The food was excellent as was the service and the occasion was very enjoyable.